Answer – The role of non-execs in holding the organisation to account! The senior leadership of an organisation have a vested interest in its success. In both schools and plc’s there is firstly job security and secondly fiscal benefits. In the case of plc’s this is usually in remuneration including enhanced salary, share and pension packages. In the case of schools this will be rising up the salary scale and a full/expanding school which means a healthy budget to make the school even better. 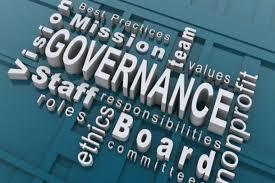 Corporate governance is therefore vital to ensure things are done properly and decisions are being made for the right reasons. So it has to be asked what Carillion’s Board of Directors, and in particular the NED’s were doing because by the looks of it they were at best negligent and at worst complicit in what was going on possibly because they enjoyed being on the ‘gravy train’. So what can schools learn from this? Well firstly as governors one of your key roles is to ‘hold the Head to account’. This is done in a number of ways and should be a mix of support and challenge and being a critical friend. The danger comes when relationships become too close and the separation between the executive and governance is eroded or non-existent. This can then lead to a lack of those tough questions being asked when they should. One way to avoid this in schools and MAT’s to make sure that the CEO/Exec Head, or any member of the paid staff etc. is NOT a Trustee/Director/Governor. They will of course sit in on board meetings but to maintain that space and allow for true accountability it has to be the right thing. If you are not convinced, ask yourself how you the body who holds the Head to account can have the Head as a member of that body? A huge conflict of interest surely. Secondly, would you feel comfortable asking a fellow trustee/governor very tough questions? If you carry on doing the same things nothing will change. I bet that’s what Carillion thought! Ian is a school governance consultant. He provides Governor training to several organisations and LA’s. He was a school governor for 24 years in primary, high school and academy establishments. Away from his education work he a leading Keynote Speaker, Trainer & Business Coach.